Throughout the year we haven’t had many chances to have breakfast dishes in bed, but with recent circumstances it has opened many opportunities to create some fun dishes for each other and so we are kicking off this little segment with the fluffiest pancakes I’ve ever made. I’ve made many pancakes in my day, but it’s amazing how just a simple ingredient can change the texture of the pancakes – butter. 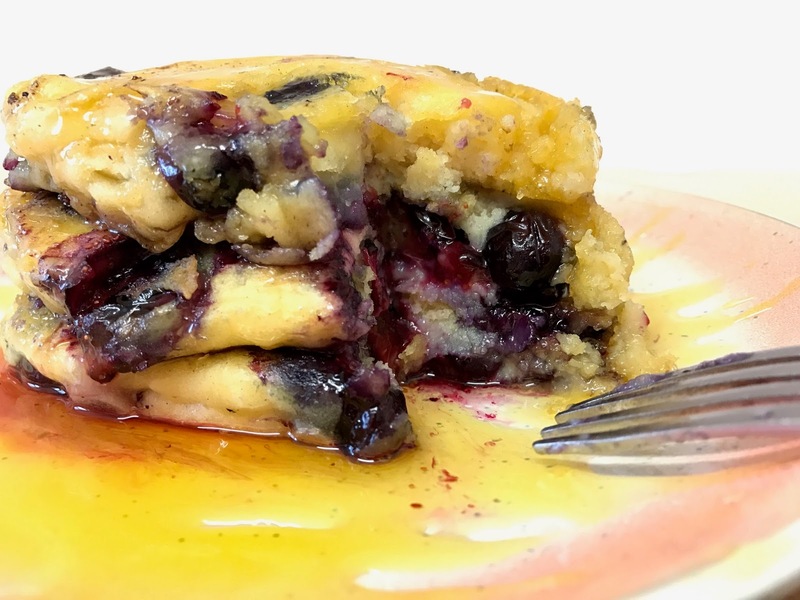 I know we haven’t create this evolution on adding the berries within the pancakes, but this was my first attempt and I’m sure we’ll be experimenting with all sorts after this. 2. Heat a teaspoon of oil or small knob of butter in a large non-stick frying pan. Drop a large tablespoonful of the batter per pancake into the pan to make pancakes. Make three or four pancakes at a time. Cook for about 3 minutes over a medium heat until small bubbles appear on the surface of each pancake, then turn and cook another 2-3 minutes until golden. 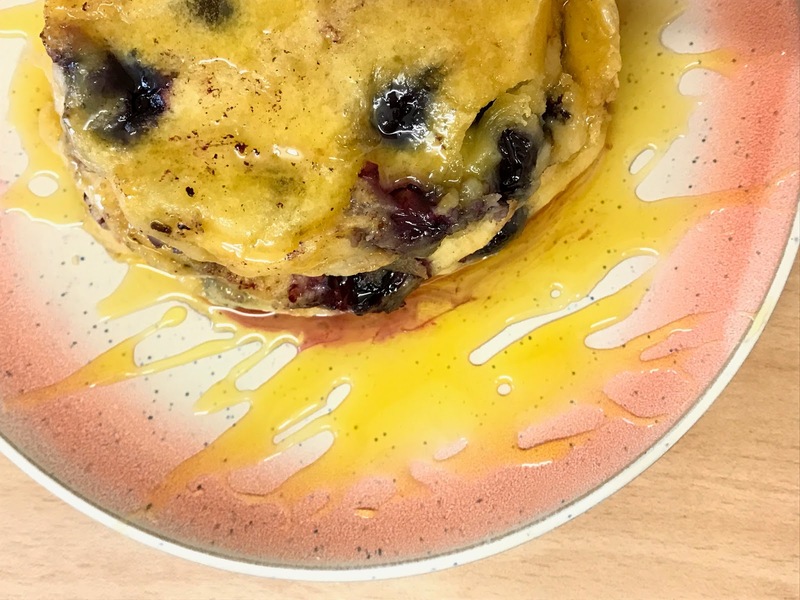 Serve with golden syrup and the rest of the blueberries. Oh these look delicious a perfect treat for the weekend and one to try 😊. Oh I'm definitely going to make these! I usually shy away from making pancakes because they just turn into mush in the pan but these sound delicious. I'll let you know how I get on! Gorge looking pancakes! I am useless when it comes to making them though, I stick to buying them when I'm out. Oh my God they look divine!! Thanks so much for sharing the recipe, I wouldlove to make these!